The FDA in the US has announced that it intends to ban artificial trans-fatty acids from the nation’s food supply because the substances increase the risk of heart disease. They quoted their medical experts saying “there is no safe level of consumption of artificial trans fat.” The AOCS, the American Oil Chemists Society known as “Your Global Oil and Fats Connection“ has worked for years to finesse and finalise the Official methods of analysis for these materials in food. The AOCS are the professional body for oils and fats science and technology and with whom the Oils and Fats group now have an established formal link. FSANZ and MPI are about to carry out a survey of the levels of trans fats in the Australasian diet. This was last done around seven years ago when low levels were found and decisions were made to not make labelling mandatory. It’s an easier solution to just ban their use. This should prevent the importation of cheap foodstuffs from countries that do not care about nutritional concerns. For once I may be in agreement with Sue Kedgely although for different reasons! This was a great event held 5th-8th November. It was well attended by 130 people with a good representation from New Zealand. The first day was a seminar on Frying Fats with some excellent papers. The second day on omega-3 science exceeded expectations with the quality and originality of the presentations . This was a joint seminar with the Omega-3 Centre and worked very well. The conference organisation was a credit to Dr. Matt Miller of Plant and Food Research and his colleagues. A memorable keynote address was by Dr Clemens von Schacky, who spoke about heart health and recent unjustified criticism of clinical trials where uptake of omega-3 was not checked by the omega-3 index, supplements were given with low fat meals, resulting in low absorption and sexes and age were all mixed up resulting in variable responses. Dr Allan Green received the AAOCS award for Scientific Excellence in Lipid Research. His keynote address was up to his usual standard of excellence. He presented a dramatic picture of options for oil and energy production in Australia utilising algal growth with the benefit of Australian sunshine and available land. This also was a very good day held at Otago University run in conjunction with MPOC (Malaysian Palm Oil Council) who presented a very good case for the continued use of sustainable palm oil. Dr. Sudram of this organisation gave an excellent presentation on the nutrition of palm oil and its bioactive constituents. Dr. Mahindar Abeywardena of CSIRO also presented results from studying the high incidence of deaths from cardio and cerebovascular disease in Sri Lanka which was attributed to high carbohydrate intake rather than saturated fat. Olive oil, fish and organic foods are the products most prone to food fraud, according to a draft report of the European Parliament committee which also calls for penalties. Committing food fraud in the EU is lucrative, the chances of getting caught are relatively low, and the number of cases appears to be rising. This issue of olive oil fraudulent practices does not seem to be approaching a resolution. Can standards help prevent olive oil fraud? The Australian Olive Association has presented federal parliamentarians with a 29 page booklet, backing up its calls for a mandatory olive oil standard. 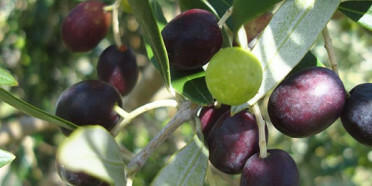 Australia unlike New Zealand has had a voluntary olive oil standard registered with Standards Australia for three years. The president of the Olive Association, Paul Miller, says that the standard is now gaining international recognition and he’s hoping it will help growers win political support for it to become mandatory in Australia. Mr Miller believes making the standard mandatory would give the ACCC more power to combat falsely labelled olive oil. Serigeur, et.al. Eur. J.Clin.Nutr, 67: 911-916,2013. Andrew Logan and Chris Nathan, two pioneers of avocado oil production in New Zealand have just completed the installation of a factory in Mexico. The Mexican HASS crop is huge and is very suitable for high-quality extra-virgin oil manufacture. There are perhaps between 1.3 and 1.5 million tonne of avocado grown over a range of altitudes to create a very long harvest season. The oil production season is likely to be around 37 weeks. There are several challenges in this venture. Avocado is their national dish and is thus very expensive. Furthermore the Mexicans apparently eat everything. Fruit which was judged process quality only in New Zealand achieve very high prices in domestic retail outlets. Production costs are therefore much higher in Mexico. We await more detailed news of this exciting venture. Implementation of the European Union proposal to require country of origin labelling of vegetable oils will be extremely complicated due to manufacturer’s use of multiple sources of the same type of oil. A draft proposal would require labelling as part of the EU food information to consumers regulations, set to take effect in December 2014. The regulation would also require food manufacturers to disclose the type of vegetable oil used in their products rather than use the generic term vegetable oil. It is to be hoped that similar legislation does not take place in Australasia. Return of rickets in UK and NZ? Rickets, the childhood disease that once caused an epidemic of bowed legs and curved spines during the Victorian era, is making a comeback in Britain. Rickets results from a severe deficiency of vitamin D, which helps the body, absorb calcium. Rickets was historically considered to be a disease of poverty among children who toiled in factories during the Industrial Revolution, and some experts have hypothesised it afflicted literary characters like Tiny Tim in Charles Dickens’ A Christmas Carol. Rickets largely disappeared from Britain in the 1950s, when the country embarked on mass programs to give children cod liver oil. This is when this reviewer learned to spot and hate the taste of rancid fish oils. Vitamin D addition was also mandatory for margarine production. In fact it used to be a key ingredient in polyunsaturated margarine when first launched in the 1970s but this practice has been discontinued. Perhaps it should be reinstated as rickets is making an appearance even in sunny Down Under. Most people get vitamin D from the sun, oily fish, eggs or dairy products but supplements are an easy and low cost solution. It is interesting to note the popularity of omega-3 oils (not rancid) containing vitamin D.